Linworth’s Parent Board meets the first Wednesday of each month at 7 p.m. Parents and guardians of all Linworth students are invited to attend. Linworth Parent Board is hosting a Candidate Night for the Worthington School Board race. All four candidates have graciously accepted our offer. The format will allow for opening comments, a Linworth-specific question, queries from the audience, and a closing statement. Create a piece of Linworth history and support the Parent Board’s scholarships and projects. Labyrinth Pavers are available in two sizes and will be marked with your choice of inscription. To place your order, please fill out this Labyrinth Paver Order Form and return it to Mel with your payment. 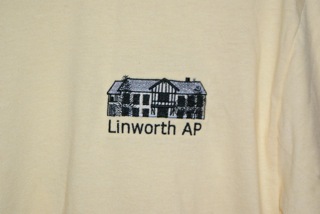 Show your Linworth pride with our embroidered t-shirts, pullover hoodies, and polo shirts. Available in many colors.